Animal cruelty begins in a violent home. It is often referred to as the "link." 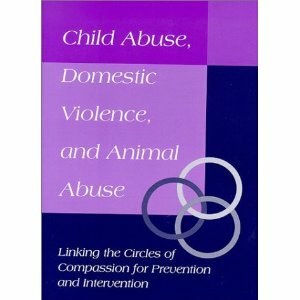 Animal abuse, child abuse, spousal abuse, elder abuse are all intertwined in the web of violence. Children who experience or witness abuse are at a high risk of perpetrating animal cruelty. Children who experience or witness violence are at high risk of becoming violent offenders. Children who experience or witness abuse need caring communities who will help them heal and break the cycle of violence. The Facebook pages are calling for punishment to the full extent of the law. I call on all animal welfare/protection/rescue groups to remember our history. Animal protection agencies began as child protection agencies. Please include children in all your humane activities. By helping a child, you will be helping an animal.